An unfortunate trait of the internet is spam and automated bots disseminating that spam. Most of us are used to receiving spam emails, but as a business operator on the internet, you may also receive support requests and orders submitted in bulk by automated bots. This guide looks at some of the ways you can help mitigate the impacts. The most effective mitigation method is to use a smart and responsive Web Application Firewall service, which can quickly identify undesirable traffic and block it from your website entirely. If the bots never reach your website, they can't place orders, so the problem is solved! This should not have any impact on your genuine customers. Powered by Google Invisible reCAPTCHA technology, this will help block orders from automated bots whilst allowing the majority of customers to place orders without any interruption. 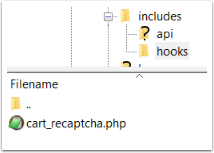 If there is any confusion, users may be required to complete an image identification pattern before their order is entered into WHMCS. To install the hook, follow the steps below. Captcha Form Protection: "Always On" or "Off when logged in"
Orders from the blocked domain will no longer be permitted. Any point a spam bot can complete an automated form is a potential vector for them to make some more automated submissions. You might not require some of the forms in WHMCS, which could be switched off without any loss to you. Use a support department for sales, rather than email. Select a department from the Setup > Genreal Settings > Mail tab > Presales Form Destination dropdown. 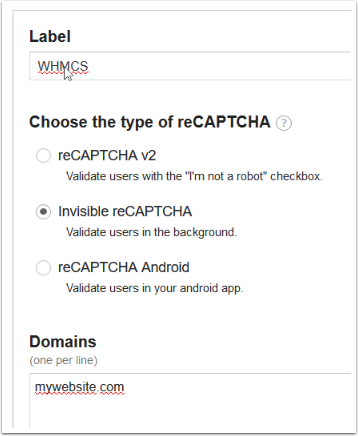 Whilst no human verification captcha is 100% bullet proof, Google reCaptcha v2 is effective. This can be enabled in WHMCS on the Setup > General Settings > Other tab. Once configured; this will help protect the client registration page, the ticket submission pages and contact form, as well as the homepage domain checker. Configuration settings are located under Setup > General Settings > Security tab. Field Name: Are You Human? If an order does get through, the Maxmind module within WHMCS can automatically cancel orders from spam bots before payment. This will ensure they aren't able to make a fraudulent payment. Setup is quick and easy via Setup > Fraud Protection. You will need an account, and you can sign up for one here. Sharing experience and knowledge about what combination of techniques effectively combated a problem, is an excellent tool to defeat those trying to cause trouble on the internet. Join this discussion in the WHMCS Community.